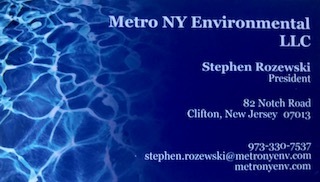 Strict focus on one market allows Metro NY Environmental to do one thing really well. With experience gained over 25 years in representing manufacturers in only one market, Water and Wastewater treatment equipment, I have had the opportunity to work with some of the premier manufacturers in the industry. In that time I have seen products rise and fall in popularity, and unfortunately, sometimes be misapplied. My philosophy is that if I do not truly believe a product fulfills the requirements of the application and is a good fit for the procedure or process, I will not recommend it to an owner, engineer, or contractor. Use the form below to contact regarding your project or product. Your Inquiry will be held in confidence.